Greetings!! Hope everybody had a great holiday season and Santa was good to you. I know that he was very good to me, as always. With the New Year comes new ideas and fresh starts. The coming year will hold many new and exciting activities for the Junior and Youth Committees. I will be traveling to Albany, New York for the Northeast Leaders Conference which I am really looking forward to. One of the big projects coming up will be the Bowl-A-Thon. We will be starting to plan the event so start forming your teams and getting donations and get ready to bowl. 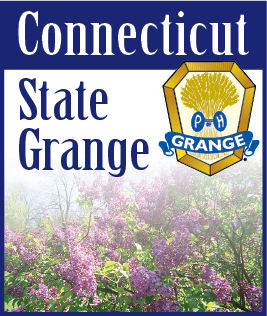 Why not show other State Granges how good Connecticut can be at having fun??? Why not pass the information on to your friends who have kids! Maybe they would like to bowl and then we can talk about the Grange. This would be a great way to introduce prospective Grange Members to the Grange. Remember, if you don’t talk about the Grange, nobody will know about the Grange. This is a great organization and we should talk about it and promote it more. As soon as I have more details about the Bowl-A-Thon, we will send out information. Hope everyone stays warm. Talk to you next month.